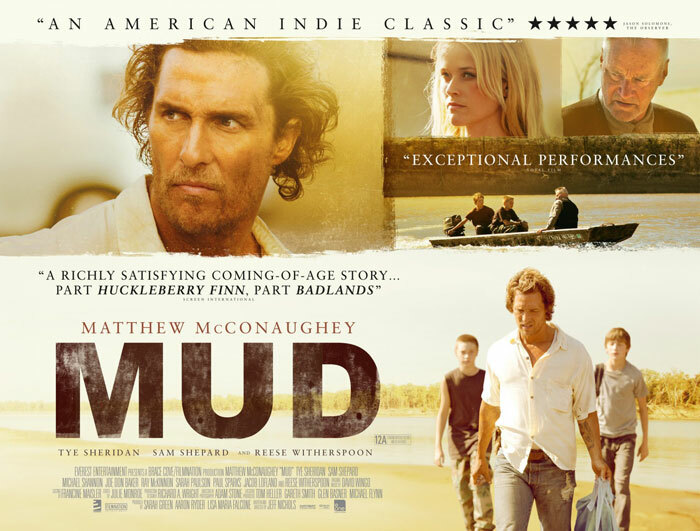 Written and directed by Jeff Nichols, Mud is an impressive life affirming film, which stars Matthew McConaughey, Tye Sheridan, Sam Shepard, and Reese Witherspoon. Along with The Place Beyond the Pines, this film is said to be a compelling drama and one of the most accomplished and finest films of 2013. Mud is an adventure about two boys, Ellis and his friend Neckbone, who find a man named Mud hiding out on an island in the Mississippi. From the point of view of one innocent boy's world, the world of this film is slowly presented in front of you. The boy’s belief in his parents' relationship, the truth in life, and love towards girl are changing gradually as time goes by. DVD release date of Mud is on Aug 6, 2013. If you want one of the finest films of the year, seek out Mud and you won't be disappointed. It’s a worthwhile film you can add to your film collection. However the copy protection of DVD Mud might bother you a lot to enjoy it freely. Here a great solution will be introduced as follow to help you out. From now on, there is no need for you to worry about DVD crack or scratch caused by kids. WonderFox DVD Video Converter provides the easiest solution to remove the latest DVD copy protection and then convert DVD video to any HD/SD video format (such as MP4/H.264 that is playable on iPhone iPad iPod Android, DVD to AVI as a widely accepted format, DVD to FLV accepted by YouTube) at your will. Batch mode and unique encode technology makes the conversion speed 30-50X Faster than before. Have a try to backup DVD Mud on your PC. Step 1. Install and launch WonderFox DVD Video Converter, the main interface will pop up. Click “Load DVD” to import DVD you insert. It will analyze DVD info and detect the right title of DVD automatically. Step 2. Select output format or device you want. 100+ video formats are available for you. And then Specify output folder. Adjust other settings if need. Step 3. After all the settings is OK, press “Run” button to start ripping the encrypted DVD Mud to your hard drive. Then you can play and share your DVD video effortlessly.